reserched from publicly available sources. 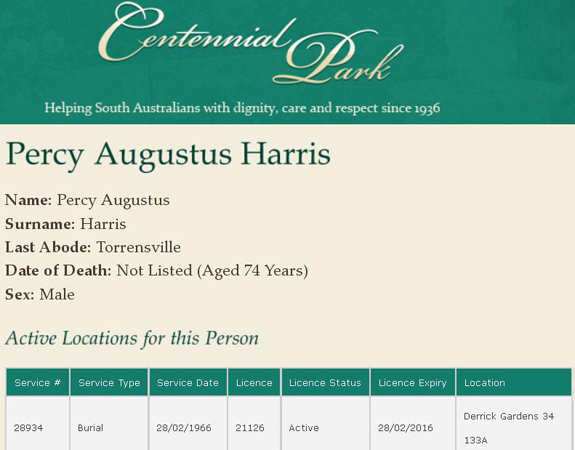 Percy Augustus Harris was baptised 13th August 1893. The family were now living at 174 Mayall Road Brixton. 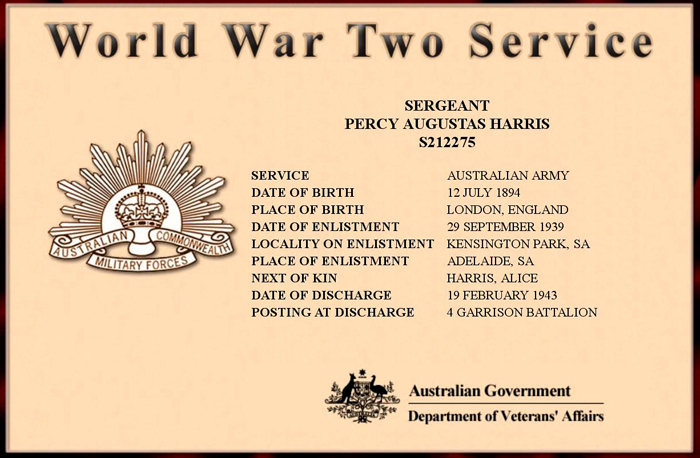 Percy saw active service with the British Army during the Great War but was discharged after being wounded in France. 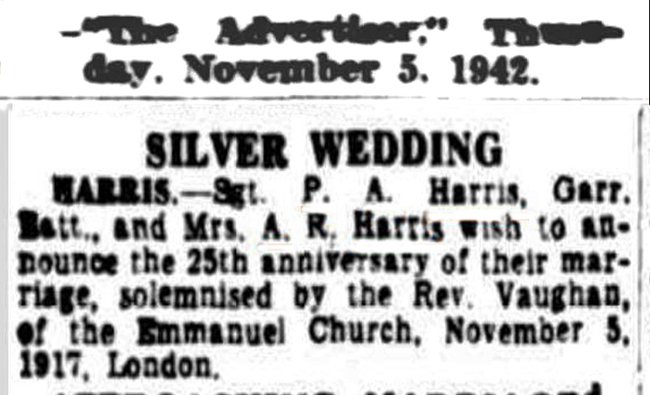 Percy married Alice Rebecca Marshall on 5th November 1917 at Emmanuel Church Camberwell. Following the marriage Percy and Alice began to raise a family. 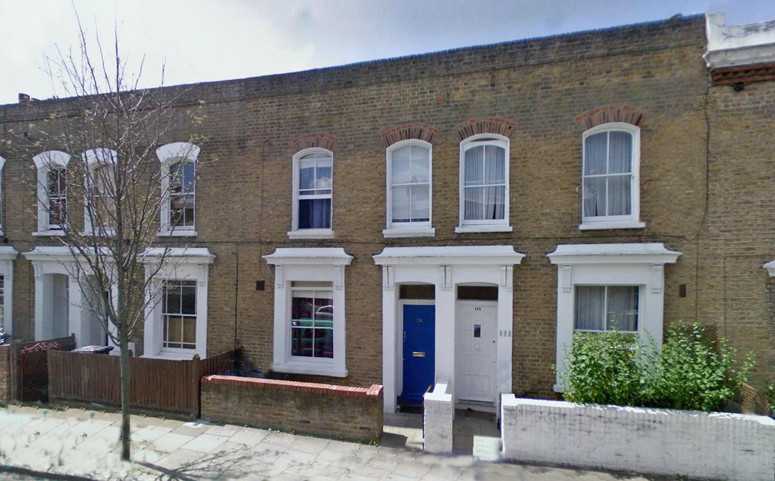 They appear to have lived with Alice's parents in a house at 15 Champion Park Denmark Hill near Camberwell. Their first child Norman Richard Harris was born in 1919, a second son Arthur Frederick Harris was born in 1920 and a third son Charles William Harris was born in 1923. 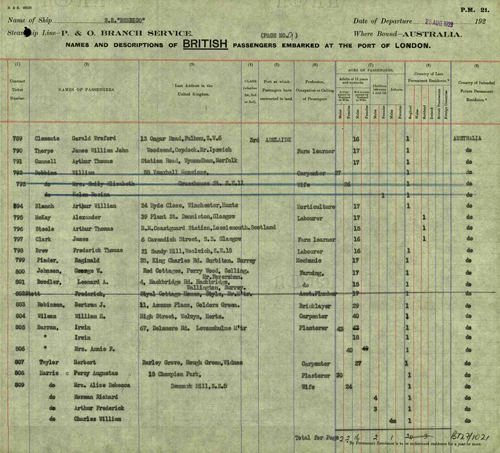 Thje Electoral Register below dates from 1919 and shows Percy still registered at his parents home 35 Mansion Street Camberwell. He is listed with his brother in law Thomas Ellis who lived in Kent. 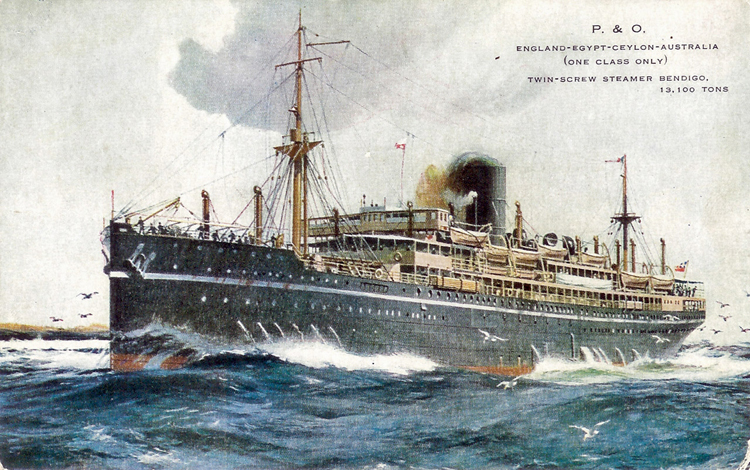 Percy and Alice by 1923 decided to emigrate to Australia. Percy by trade was a plasterer and qualified tradesman were required through the Builders and Contractors Association to work in Australia. 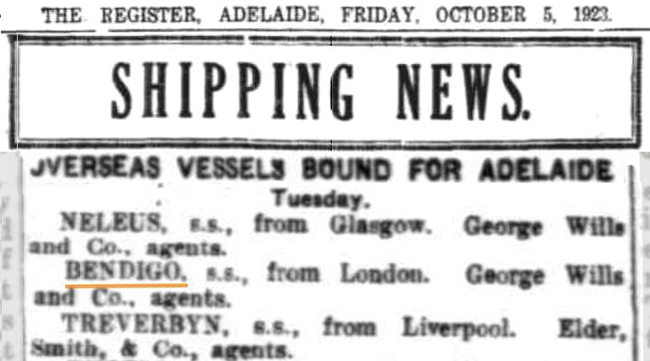 The family sailed from London on the P & O Ship SS Bendigo on the 25th August 1923. They arrived 6th October. The family consisted of Percy and his wife Alice and their three children Norman, Arthur, and Charles. Percy and Alice's fourth child Sydney Frank Harris was born in 1924. 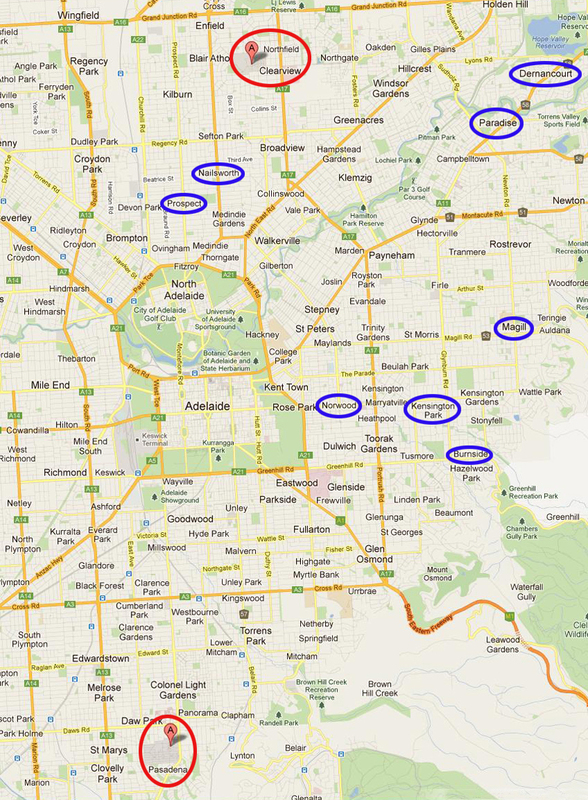 The family were living in the Norwood district of Adelaide. Percy had been involved with the local Army Reserve since the early 1930's and had won several markmanship awards. Upon the outbreak of WW2 he was attached to 4 Garrison Battalion. Percy Augustus Harris died in 1966. 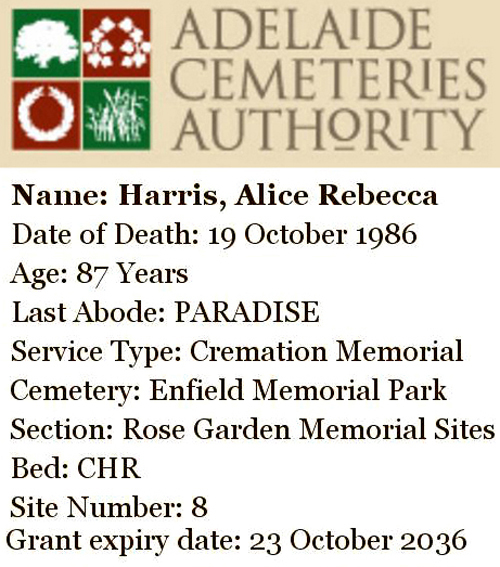 Acording to the Cemetery Records, the family were living in the district of Torrensville Adelaide. This is incorrect. 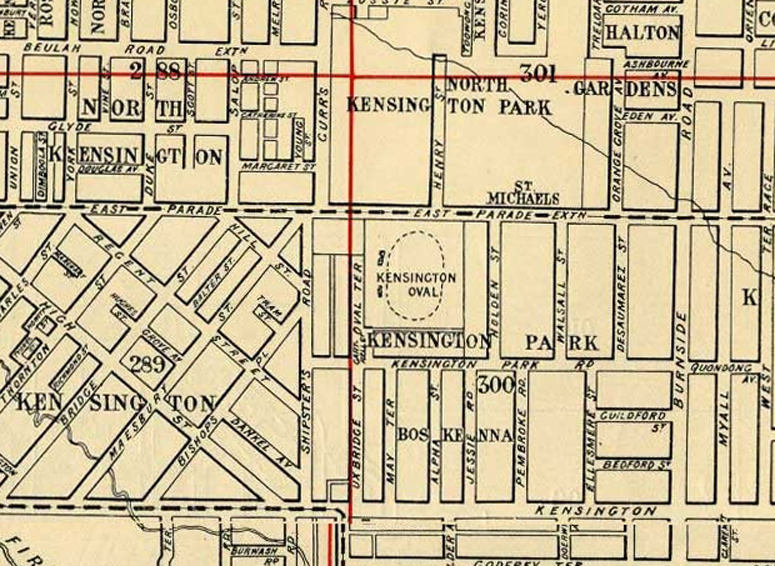 There is a Shipsters Street in Torrensville but the Harris's lived in Shipsters Road in Kensington. He is buried at Centennial Park Cemetery Pasadena, South of Adelaide. Percy Augustus Harris's wife Alice died in 1986. 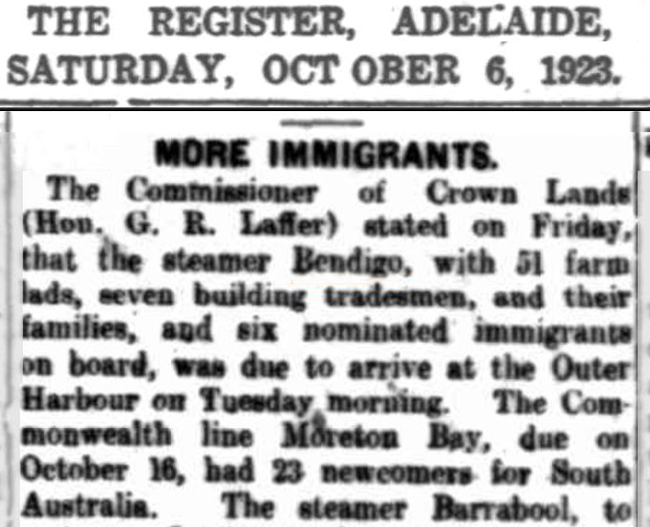 The family were now livingn in the district of Paradise Adelaide. She was cremated at Enfield Memorial Park Cemetery Clearview, North of Adelaide. The map below shows the Districts where various members of the family lived (circled Blue). The 2 cemeteries at Enfield Memorial Clearview and Centennial Park Pasadena are shown (circled Red).